We have never doubted the principles upon which Accord was founded – to end the discrimination inherent in the admissions policies of faith schools, and to prevent the religious segregation of children into separate schools. But it is very pleasing to see artistic representation of those issues, and it indicates that our message resonates within the wider public discourse. This is the case with the new play at the Kiln Theatre (formerly known as the Tricycle) in North London by Judi Herman, entitled Holy Sh!t. It features a two couples – one a Christian family and the other atheist – both of whom want their children to attend the local school. 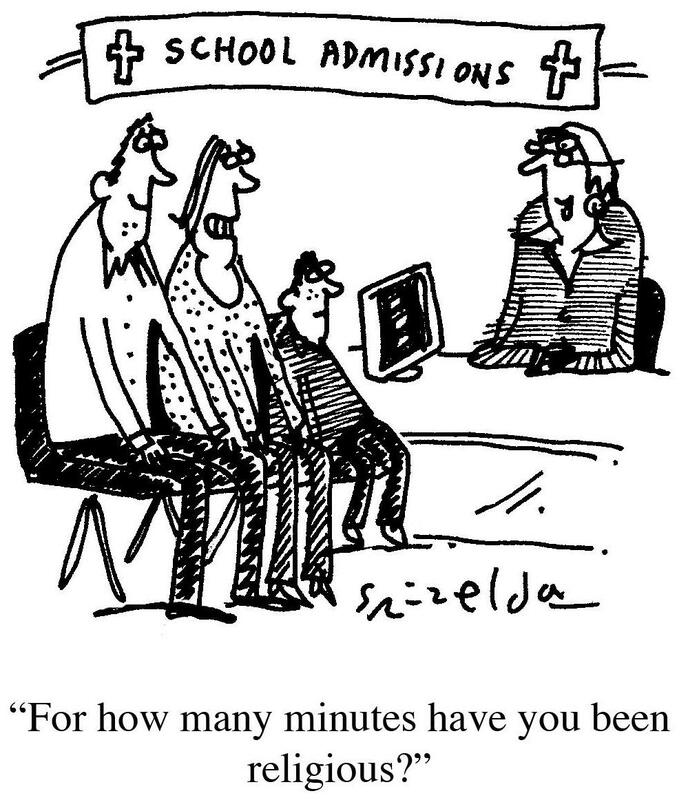 However, it is a CofE one, with admissions heavily influenced by Church attendance. The atheist couple protest that it is utterly immoral that their daughter is unable to attend, even though they live in the same street as the school and it is tax-payer funded. What happens next highlights the dilemma many parents face. Do they bus their children elsewhere to another school, or do they play the system? Theoretically, there is the possibility of opting for private school, but that would be financially impossible for them. Quoting the familiar adage, the atheist Mum decides the only course open to them is ‘on your knees, to avoid the fees’, and they start going to Church. She is very aware of how hypocritical she is being, while the religious couple rightly accuse her of setting a terrible example of deceit to her child. There are some dramatic developments as the play progresses, which it would be wrong to spoil here, but which make it very gripping, accompanied by excellent acting. The great frustration is that although the characters are fictional, the key themes – the wrongs of the current system and the ethical challenge it presents parents – are only too real. It runs till 6th October. Thank you for alerting us to “Holy Sh!t”. I managed to get there and it was brilliant. Closes tonight alas. It would be great if it could go on tour (starting with Conway Hall?) or it could be televised.